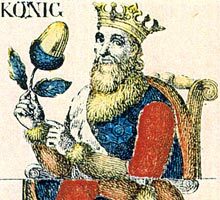 David Hurter had begun to build up a playing card business in connection with a paper factory in Schaffhausen since 1793. 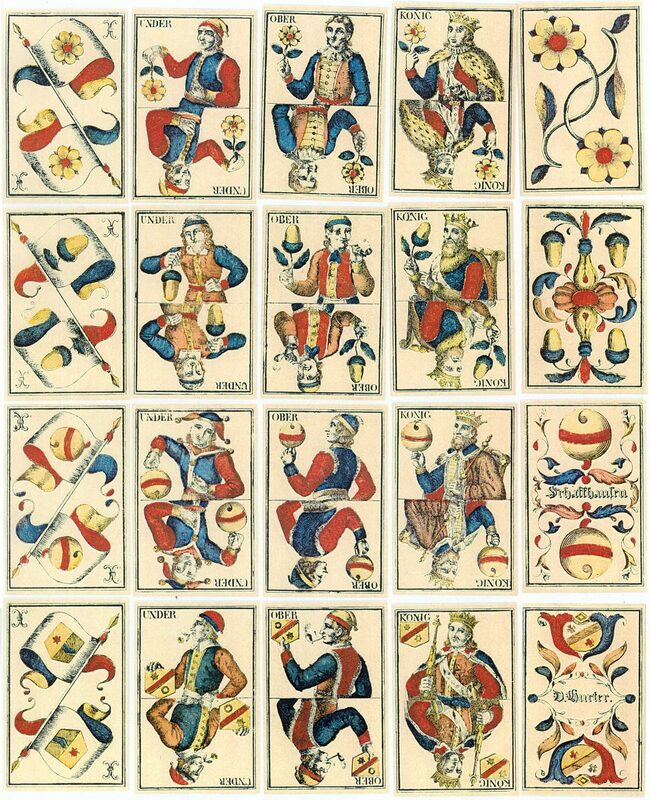 The cards shown below are from a double-ended Swiss-suited deck which, although more convenient, loses some charming features from the designs. Click here to see a single-ended version. The business was subsequently taken over by his son David, and in 1863 was sold to Müller. Above: cards from double-ended Swiss-suited deck made by David Hurter, Schaffhausen.